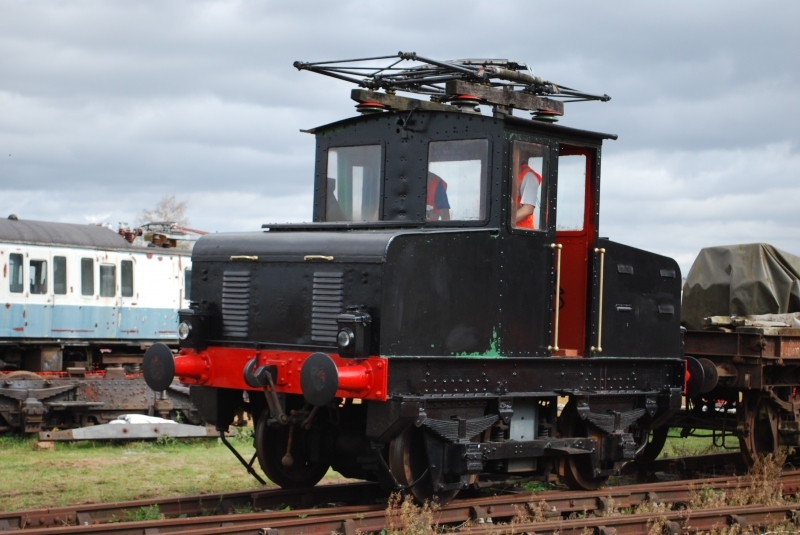 The Electric Railway Museum (formerly the Coventry Railway Centre) was located in Warwickshire, south-east of Coventry, near the village of Baginton. The heritage railway centre was immediately adjacent to Coventry Airport and so it was also known as "The Airfield Line". The site was managed by the Electric Railway Museum Limited, and is home to a sizeable collection of preserved electric multiple units (EMUs), which is the most diverse and historically significant collection of EMUs in the UK, containing unique items that are the last survivors of once typical and numerous classes. In addition, there are three small industrial electric locomotives, two small industrial diesel locomotives, and one small industrial petrol locomotive, along with some other railway vehicles, which are owned by third parties. The land is leased from Coventry City Council, though it is located just outside the city boundary and is in the county of Warwickshire. On 9 July 2017, it was announced that, owing to the site being sold for development, the museum would close on 8 October 2017 (the last open day of the year). Please give us your overall rating for Electric Railway Museum.